After their first one-man live last February, we were delighted to meet again with =LOVE on March 29 at the Galaxy Theatre for a rather special performance. The music video for their 5th single “Sagase Diamond Lily” had been four days prior, and we were really curious to witness this very first performance. Takamatsu Hitomi and Noguchi Iori made sure to keep the suspense by dropping a subtle “Maybe we will find some diamonds today…” during the announcement before the concert! The members were as energetic as usual, shining on stage, and we will this time focus on the little animations that were held throughout the concert, as well as the surprise concluding this event. Wearing the costumes from their previous single “Want you! Want you!”, the members started the concert with “Buukatsu-chuu ni Me ga Au Natte Omottetanda”, “Youkoso! Ikorabu Numa” and “Kiara! Tasuke ni Kita zo”, whilst pictures were allowed for the fans. 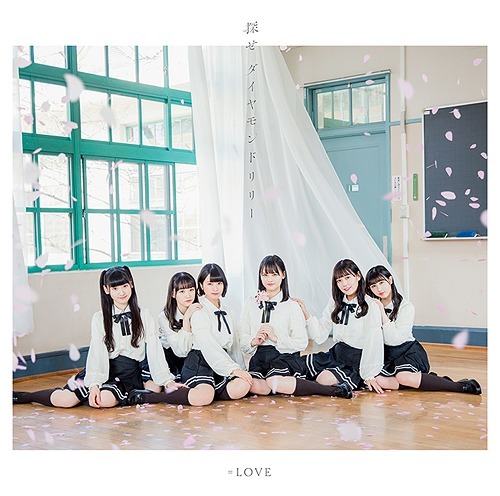 “Todoite LOVE YOU” gets the whole venue hyped up, as Saito Nagisa makes sure to ask fans to come look at the cherry blossoms with her before her famous “Daisuki da yo” line in the middle of the song. Nostalgia hits hard with “Kioku no Dodo ka de” and “Start!”, as this segment ends to start a second game. The members’ geography, math and kanji skills are challenged! =LOVE was divided in two teams of six members, led by Takamatsu Hitomi and Oba Hana. In the first question, members had to write down the last prefecture of the Shikoku area, aside from Ehime, Kagawa and Tokushima. Noguchi Iori lost for writing down a city instead of the missing prefecture, Kochi. A mathematics question, then another one about kanji (asking the members to write down Morohashi Sana‘s full name) followed, and everyone managed to pass. Hitomi’s team therefore won and avoids drinking a very bitter mixture, as the losing team was asked to! The show started once again with “Teokure caution”, while the fans lit up the venue with their flaming red penlights. 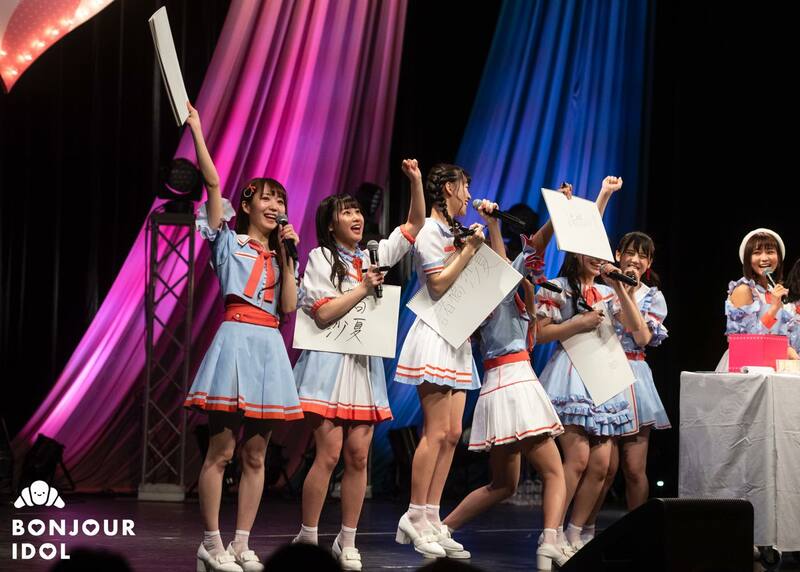 “Ima, Kono Fune ni Nore!” (also the name of their first national tour starting on April 11), “Aikatsu Happy End”, “Bokura no Seifuku Christmas” and “Want you! Want you!” ended this segment with =LOVE’s usual energy. Anna was the last one on stage, asking the fans to bring out their cameras once again to get ready for the final surprise of the day. After an enthusiastic encore call, fans had the chance to discover the new costumes from 5th single “Sagase Diamond Lily”! =LOVE then starts the very first live performance of their new title. It is with joy that we were able to see that the fans did not wait to agree on the calls for this song, contributing to the happy atmosphere of this premiere. Finally, the repeated “Kitto Kimi da” from “=LOVE” resonated, as a final touch to this concert, during which Sashihara Rino‘s protégées were able to shine bright, just like diamonds! 11. Want you ! Want you !